Who Are the Gatekeepers in Publishing? Social media offers writers new opportunities for publication. However, there are some pitfalls they need to avoid. This was the message given at a debate hosted, last December, by ‘Spread the Word’, London’s writer development agency. Writers, agents, publishers and readers were brought together to discuss gatekeepers in fiction publishing. In her opening remarks, Nicola Solomon, from The Society of Authors, said the growth in blogging, social media and self-publishing makes this an ‘interesting and unsettling time’ in the publishing world. Authors now have more power. Publishers accept the changes, but many are ‘in a fog’. 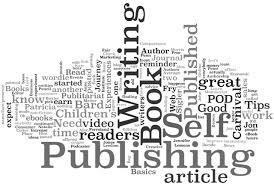 Writers should explore their options before deciding how to publish their work and ensure they get the best from publishing contracts. It might be more beneficial to print on demand or seek out smaller publishers. Phillip Jones, editor of The Bookseller, who chaired the event, said social networks were strong mediums for connecting with readers. However, self publishing may hamper discoverability. Michael Bhaskar, Digital Director at Profile Books, pointed out that Amazon collect feedback from readers. Publishers are generally not very good at this. The panel agreed that Twitter allows authors to have dialogues with readers. However, it cannot replace book signings and personal promotion. An assessment of how Tweeting influences sales is needed. Louise Doughty stated that Literary Editors of newspapers such as The Observer and The Times play powerful gatekeeping roles. They select which books get reviewed and the reviewers. Books with the most reviews tend to win prizes, resulting in increased sales. The discussion concluded with questions from the audience around new talents and judging the quality of writers’ work. There were also two readings from a recent Spread the Word publication of Edgeways, edited by author, Courttia Newland.